I love everything from the 60s, when everything was made of real metal (none of this chintzy chromed plastic crap), and space-age design was popular. 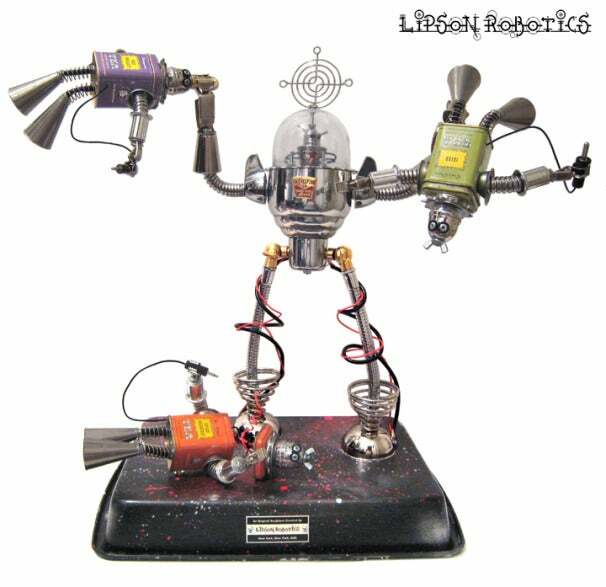 The best part of the time was the vacuum tube and springs robots like these made by David Lipson. 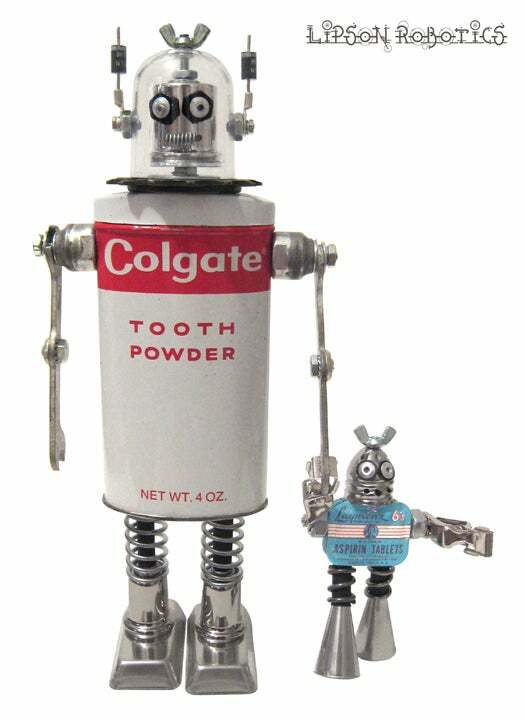 David Lipson takes trash and turns them into cool retro style robots for sale on Etsy. All of them are made with objects like a hand radio or an old voltmeter from places such as The Salvation Army, on the street, retail stores, construction sites, garbage dumps, recycle shops, and pretty much anywhere. Lipson drills, sands, twists, and even hammers the pieces into shape. In the final assemblage, Lipson does not weld; instead he uses nuts and bolts to build his robots. To check out more of Lipson’s work check out his robotics website.